The Village Beacon Record published this piece in print on Nov. 03, 2016. 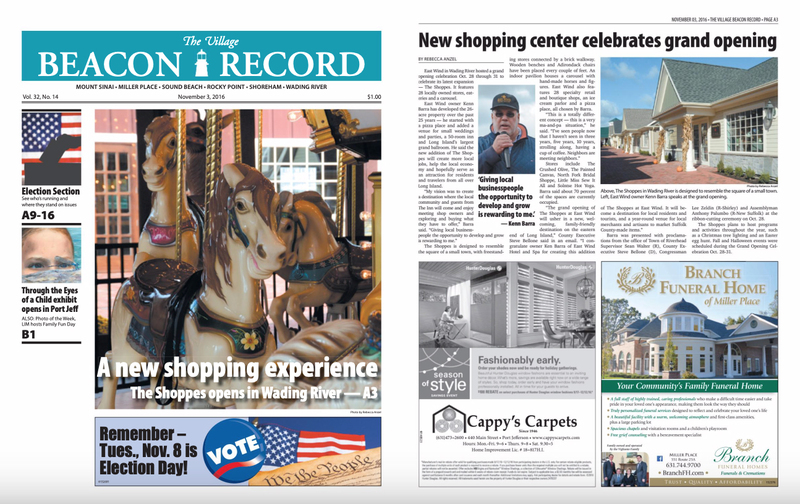 East Wind in Wading River hosted a grand opening celebration Oct. 28 through 31 to celebrate its latest expansion — The Shoppes. 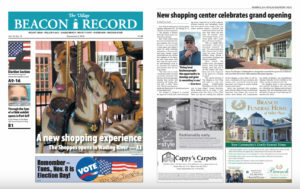 It features 28 locally owned stores, eateries and a carousel. 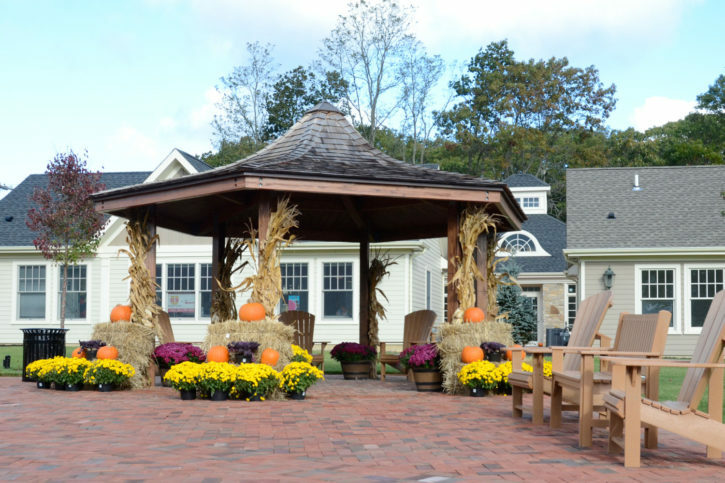 East Wind owner Kenn Barra evolved the 26-acre property over the past 25 years — he started with a pizza place and added a venue for small weddings and parties, a 50-room inn and Long Island’s largest grand ballroom. He said the new addition of The Shoppes will create more local jobs, help the local economy and hopefully serve as an attraction for residents and travelers from all over Long Island. 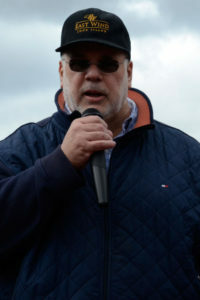 East Wind owner Kenn Barra talks at the grand opening. Photo by Rebecca Anzel. The Shoppes are designed to resemble the square of a small town, with freestanding stores connected by a brick walkway. Every couple of feet are wooden benches and adirondack chairs. An indoor pavilion houses a carousel with hand-made horses and figures. East Wind also features 28 specialty retail and boutique shops, an ice cream parlor and a pizza place, all chosen by Barra. Stores include The Crushed Olive, The Painted Canvas, North Fork Bridal, Little Miss Sew It All and Solntse Hot Yoga. Barra said about 70 percent of the spaces are currently occupied. A central square at The Shoppes in Wading River. Photo by Rebecca Anzel. Barra was presented with proclamations from the office of Town of Riverhead Supervisor Sean Walter (R), County Executive Steve Bellone (D), Congressman Lee Zeldin (R-Shirley) and Assemblyman Anthony Palumbo (R-New Suffolk) at the ribbon-cutting ceremony on Oct. 28. The Shoppes plans to host programs and activities throughout the year, such as a Christmas tree lighting and an Easter egg hunt. 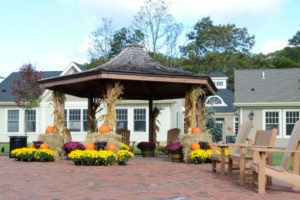 Fall and Halloween events were scheduled during the grand opening Oct. 28-31. 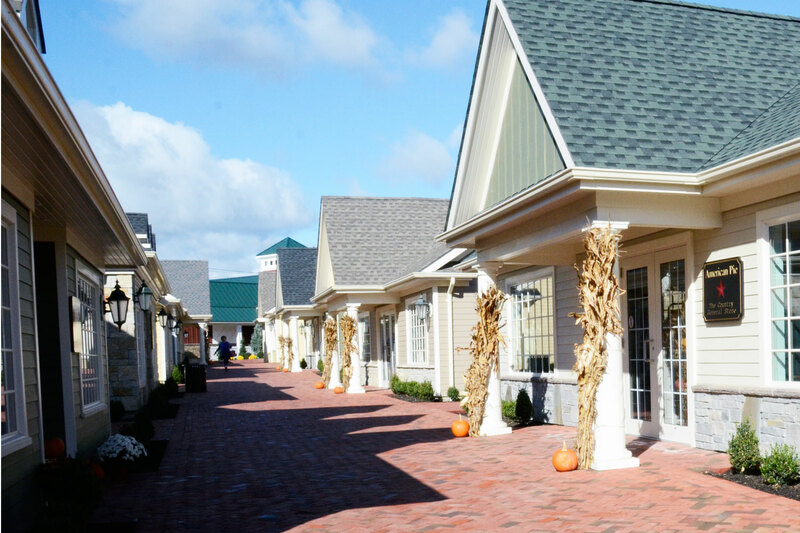 The Shoppes in Wading River is designed to resemble the square of a small town. Photo by Rebecca Anzel.